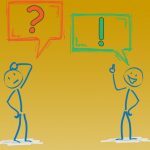 As I talk to people on a day-to-day basis, I am sometimes surprised by some of the misconceptions that I encounter regarding Microsoft Hyper-V. That being the case, I thought that I would take the opportunity to talk about five of the most common misconceptions about Microsoft Hyper-V. The first of the misconceptions about Microsoft Hyper-V that I want to be sure to address is the idea that Hyper-V is a second-class hypervisor. Like all good myths, however, there actually is a bit of truth to this one, or at least there was at one time. Microsoft first introduced Hyper-V as a part of Windows Server 2008. At the time, Hyper-V was a very basic hypervisor. Live migration capabilities did not exist yet, nor did most of the standard features that we take for granted today. On top of that, the first edition of Hyper-V was really buggy. One of my servers, in particular, had a really nasty habit of causing VM registry corruption every time I would reboot a Windows Server 2003 virtual machine. Since its release with Windows Server 2008, Hyper-V has had a full decade to mature. Microsoft gave Hyper-V a complete makeover in Windows Server 2012, and further enhanced their hypervisor in Windows Server 2012 R2 and in Windows Server 2016. While Hyper-V admittedly does not have as many features as VMware ESXi, is a very capable enterprise-class hypervisor. In fact, the Microsoft Azure cloud runs on Hyper-V. When people talk about Hyper-V, they are most commonly referring to the Hyper-V role that can be installed through Windows Server. However, there are actually three different flavors of Hyper-V. In addition to the Windows Server Hyper-V role, there is also a free edition called Hyper-V Server. Hyper-V is also bundled with some editions of desktop Windows operating systems such as Windows 10 Pro. Client Hyper-V (Hyper-V on a desktop operating system) lacks some of the features that are found in Windows Server Hyper-V and Hyper-V Server. After all, most people probably wouldn’t expect to build a failover cluster to support highly available virtual machines using nothing but Windows 10. What does tend to surprise a lot of people, however, is that the free edition of Hyper-V is on par with the Hyper-V role in Windows Server 2016. In fact, you can build a fully functional failover cluster using the free Hyper-V Server. Another of the misconceptions about Microsoft Hyper-V that I run into from time to time is that if you install the free Hyper-V Server or purchase a Windows Server license and deploy the Hyper-V role, that entitles you to use Hyper-V to your heart’s content. In reality however, this one is only partially true. While both Hyper-V Server and the Windows Server Hyper-V role both entitle you to use Hyper-V, you still have to license the operating systems (and other software) that are running on your virtual machines. The free Hyper-V Server does not include any guest operating system licenses. If you were to deploy an open source (free for use) operating system within a virtual machine, then you would, of course, be able to use that virtual machine for free. If you want to install a Windows operating system in a virtual machine, however, you have to license that operating system. Things work a little bit differently if you are using the Windows Server Hyper-V role. As you probably know, Windows Server is available in both a Standard edition and a Datacenter edition. A Standard edition license allows you to run Hyper-V within the host operating system, so long as you do not run any other applications at the host level. The license also allows you to run the Windows Server operating system in up to two Hyper-V virtual machines or, in the case of Windows Server 2016, up to two Hyper-V containers. The license does, however, entitle you to run an unlimited number of Windows Server containers without Hyper-V isolation. In contrast, the Datacenter edition allows for an unlimited number of Windows Server guests and an unlimited number of Hyper-V containers running Windows Server. Another common misconception that I sometimes hear is that because Hyper-V comes with Windows Server, the Windows Server operating system includes everything that you need to deploy and manage Hyper-V. Again, this one is only partially true. Windows Server Hyper-V comes with a management utility called Hyper-V Manager. 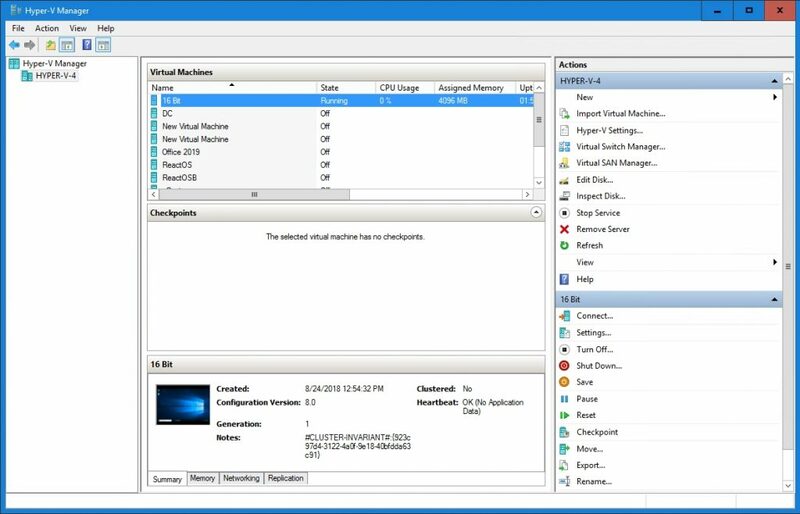 Hyper-V Manager will allow you to create, configure, and operate Hyper-V virtual machines. Even so, the Hyper-V Manager doesn’t scale very well. It works fine if you only need to manage a few Hyper-V hosts. If you need to manage larger numbers of hosts, however, you’re probably going to need a more advanced management tool. There are three basic choices when it comes to managing larger Hyper-V deployments. The first choice is to use PowerShell. PowerShell works, but there is a steep learning curve. The second choice is to use System Center Virtual Machine Manager. This is a Microsoft tool that does a great job of managing Hyper-V servers, but it does have to be licensed separately. The third option is to purchase a third-party tool. The last of the misconceptions about Microsoft Hyper-V that I want to talk about is that you need a tremendous amount of hardware to be able to use Hyper-V. Indeed, you do have to have sufficient hardware to be able to support the workloads that you are running on your Hyper-V servers. However, even a modestly sized server can usually accommodate several Hyper-V virtual machines. Realistically, your server’s scarcest resource will be the limiting factor that determines how many virtual machines you can run. Having said that, my experience has been that memory is usually the limiting factor, but with one big caveat. Often times, the storage subsystem imposes a practical limit on virtual machine creation. In other words, if the discs are not fast enough to keep up with the demand of the virtual machines that are running on the Hyper-V server, then you may hit a practical limit even if you technically have resources remaining for creating additional virtual machines. If you’ve ever been curious about or have your own misconceptions about Microsoft Hyper-V, I would encourage you to deploy the free edition or to set it up on a Windows 10 workstation. That way, you can try out Hyper-V and see how you like it without incurring any substantial costs. Use it to highlight how you perform in challenges, the approach you would be using for achieving positive results. Only a strategy will help you identify your organizations security stance.